The Honeywell QuietSet Table Oscillating Fan displays all of the strengths and versatility reserved for an elite product. A sleek and contemporary finish paired with a relatively small design broadens your installation options. Regardless of whether you're searching for a fan to place on your desk, counter, table or any other sort of platform, you'll find no shortage of practical options to explore when setting up your fan. Accessibility is increased to an even greater extent as this fan requires no additional assembly and is ready for operation right outside of the box. 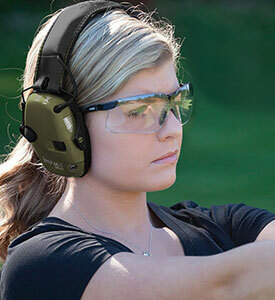 The Honeywell QuietSet Fan incorporates a series of beneficial features that promote both versatility and safety. The selection of 4 speed levels allows you to customize your cooling experience. 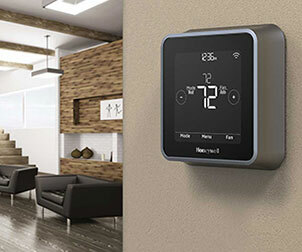 Easy Touch Controls simplify the process of selecting your preferred settings while removing the hassle of having to tinker with the fan's controls. The addition of both overload safety protection and a fused safety plug encourage safety and promote general peace of mind when operating your table fan. Product Dimensions: 12.99 x 6.5 x 12.99 in. This fan is very powerful - even on the lowest setting. It is also really big so it doesn't work well in a cubicle. If I had a larger area to cool, I would keep it but it didn't work for me. Thank you for the feedback, Kellie. We have smaller/less powerful fans that may accommodate your needs. Great - exactly what needed for office. the quietset feature is excellent. To have good air movement, without motor noise, is really nice. My first Honeywell Quietset was the stand fan. I've had it a year. It is still perfectly quiet. This initiated my next purchase of the Tabletop Quietset which is an awesome product also. 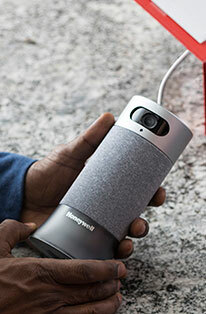 I am now about to buy my third Honeywell because they are outstanding products. 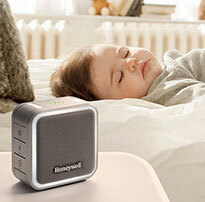 We were very happy with the Honeywell fan - thank you! I really like the sleep mode. This fan is all that!! I love it..very quiet.. Settings are awesome.. Buy this fan if you are in need of one!! excellent product, multiple speeds and very quiet, which is what I wanted. Wonderful fan with various speeds including white noise. Cools nicely, quiet and feels great. Perfect for a bedroom near the bed or a bathroom to cool it down after a shower or tub lounge.